Men of faith have always sought extraordinary ways to serve the Lord and communities in which they live. 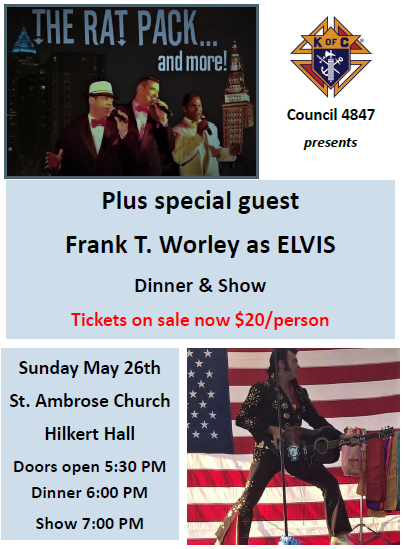 For a variety of reasons, the men of this council choose the Knights of Columbus and in September 1959, a small band of Roman Catholic men from Brunswick, Ohio founded Council No. 4847. The Council took on the name of Brunswick to represent all of the people in Northern Medina County including Hinckley, Medina, and Valley City. We are an organization of dedicated individuals—200 members strong, and growing. 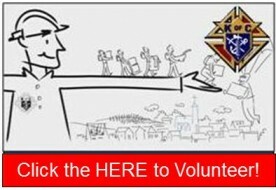 An organization that embodies the selflessness of man as it helps to overcome the problems of our parishes, local communities and the world. Poverty. Ignorance. Apathy. Things which imperil not only a single individual, but the whole of humanity. We are guided not only by our belief in God and the Catholic Church, but by our belief in each other, and in ourselves. Come out and support Council 4847 with their 2019 Measure Up Campaign. Funds raised from this event will go to help citizens right here in Brunswick and Medina County that have developmental disabilities. Tickets are on sale by click HERE or the picture above.